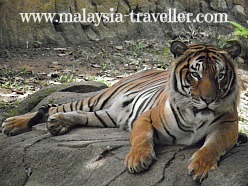 I visited Melaka Zoo on New Year's Day 2013 along with my family. Here is my review. 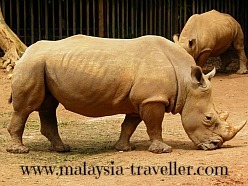 It's a large zoo, covering 22 hectares, which makes it the second largest in Malaysia. We felt quite tired by the time we had seen everything. If you tire easily you might wish to take the tram ride to reduce the amount of walking (see prices below). 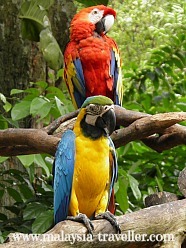 Having been in existence since the 1960s, the surroundings are very green with mature landscaped tropical vegetation, giving a simulated rainforest effect for both the visitors and the animals. The zoo borders the Ayer Keroh Country Club and golf course which adds to the beauty and greenness of the surroundings. The zoo has recently been transferred into private ownership (it was previously run by the Government's Wildlife and National Parks Department). The intention is to improve the standard and copy the success of Singapore's day-and-night zoo. It also means the admission charges have been increased. There is a good selection of animals in the zoo. 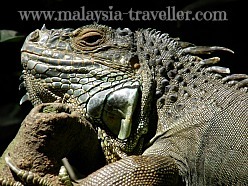 Most of them are native to the region and accustomed to the tropical heat of Malaysia. They are quite healthy looking and, as an open concept zoo, they have a reasonable amount of space to move around and be themselves while allowing visitors the opportunity to see them up close. There is room for improvement however and some of the enclosures need to be upgraded, better maintained and made more spacious for the animals. There also needs to be better controlling of the visitors. It was disturbing to see some ignorant people lobbing lit cigarettes into the orang-utan enclosure and encouraging them to smoke. 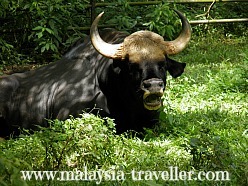 We enjoyed this zoo more than KL's Zoo Negara, mainly because of the green surroundings. This is one of the best zoos in Malaysia but has some way to go to reach the standard of Singapore's zoo. It is good value for money, even at the newly increased price. We did not try the Night Safari. Discounts available for school groups. The night zoo price includes a guided tram ride. Tram tickets are RM2 per adult and RM1 per child. Open Daily from 9am - 6pm. Night Safari is from 8pm - 11pm on Fridays, Saturdays, and the eve of Public and School Holidays. Monday – Thursday: 11am and 2pm. Saturdays, Sundays and Public Holidays: 10am and 2.00pm. Personalized photo with elephant using personal camera - RM2. Saturdays, Sundays and Public Holidays 10am – noon and 2pm – 4pm. RM2 for adult, RM1 for children. The location is marked on the interactive map on my Top Melaka Attractions page. Ayer Keroh is located 13km from Melaka City and the zoo is conveniently near the North-South Expressway if you are travelling there by car. The car park was in the process of being upgraded during my visit and it was rather disorganized. The zoo needs to assign some parking attendants to direct traffic.